Challenged by the Government’s strategy for further investment into private Marinas, The Medgolf Group, a joint venture of Cypriot developers and businessmen, all of which own and operate established reputable businesses in Cyprus, took advantage of this opportunity to invest in a private marina, namely Medmarina Resort. Medmarina Resort is divided into mixed use landside and Marina sectors, combining a yacht harbour and luxury real estate with a unique lifestyle. The residential component will comprise of 200 exclusive residences all with stunning views and unique frontline villas and apartments, which will take on a traditional appearance. There will be 225 berths in the Marina itself accommodating sailing and motor yachts up to 65 feet. A comprehensive range of quayside amenities and services, including workshop facilities will be available for both long term contracts and transit demand in the Larnaca area. The ocean view Yacht Club will serve as a social haven for members that share their love of the ocean, whether racing, cruising or fishing. A popular attraction of the marina will be an extended pier contributing to the ambiance of the natural stone and resources. Diving facilities will also be available for ardent divers with adequate parking for residents and visitors alike. A number of restaurants and retail outlets will be combined to create a unique blend that will attract local residents as well as tourists. A five star 80 room Boutique hotel will be strategically positioned, opening up to a private beach with indoor and outdoor leisure facilities. The hotel will act as a key anchor for the development. 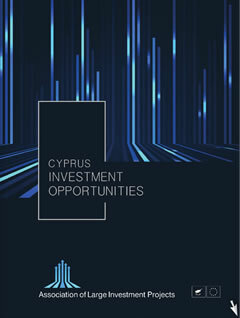 The Medmarina project creates an opportunity to develop a mixed use concept that blends well with emerging lifestyle trends and one that is truly unique in a Cypriot context. The project site, with its waterfront location provides an opportunity to combine a sophisticated urban development with high quality landscaping, and cutting-edge design. A new Leisure Marina Destination for Cyprus! Situated in a prime location, between three key cities, where the majority of the population reside, Mazotos coastline is destined to be transformed into a modern marina complemented by a luxurious hotel and residential hub.